Forgiveness is utterly important if you want to let go of your Ex and move on. 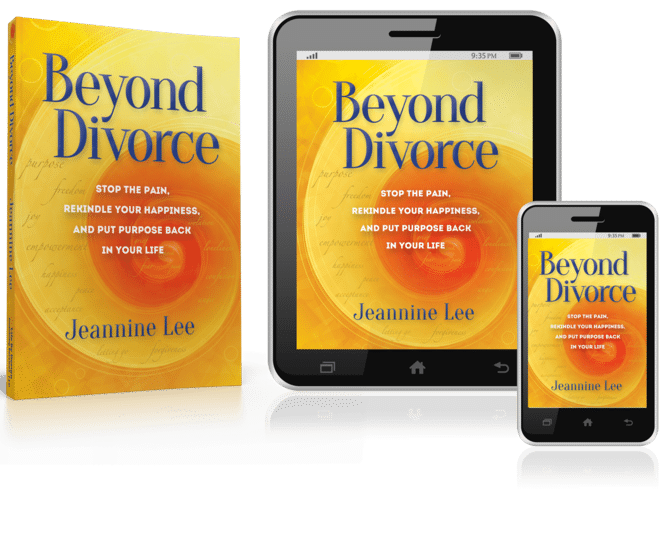 Forgive to Let Go is Chapter 24 from the aware winning book Beyond Divorce – Stop the Pain, Rekindle Your Happiness and Put Purpose Back in Your Life. If the entire book would be helpful, you can find it here. The most important person to forgive – You! Does forgiving mean getting hurt again? Do you really have to forget? Is there a difference between trust and forgiveness? Forgiveness comes in layers. I’ve learned through the years of dealing with my own betrayals and hard to forgive situations that we have to grow to become the people who can forgive. It’s not easy. We know we should forgive and often we are willing to let it go, but just don’t quite get the freedom we desire. 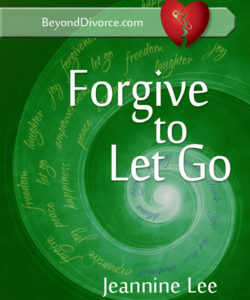 I think it’s simplistic to say “just forgive.” Know that forgiving another is an act of love toward yourself. We never have control over what another does but we have the gift of forgiveness to take back our power when deeply wronged.